Lifestyle, beauty and everything in between. After reflecting on 2015 in my previous post, here I am creating my goals for 2016. I'm a total sucker for making lists, especially when they involve goals, so even though I pretty much forgot about my 2015 goals after January and failed at most of them - although I do believe this was to do with my involvement in the renovation of our new home and moving in which was an achievement that I certainly didn't plan to occur in 2015 - i'm still going to write a list for 2016. Sixteen is my favourite number, so this year has to be good. I'm pretty excited for the latter half of this year, I don't want to wish half of 2016 away already but I will be finishing my undergraduate degree in Psychology and I cannot wait. I'm not sure what i'm going to do afterwards, and that would probably scare most people but I do know that I'm ready for full time work. I no longer want the festive period to be tarnished by looming January exams and deadlines, I no longer want to have to come home from work/uni/placement and spend my night doing uni work, pushing myself to the max because of my lack of motivation, I no longer want the stress of trying to manage 4/5 different things at once. I would have much rather spent the 1st of January on a beach walk with Lee, followed by accepting the invitation by my friend to go out for drinks in the afternoon instead of sitting in all day with my head buried in the world of cognitive psychology revision. I know I'm describing an ideal world and who knows if my job will allow for these things and it may be because I had a not so great exam on Tuesday that my moaning seems rather exaggerated but it's true, I'm excited to be out of education, don't get me wrong the perks such as a minimal timetable and student loans will be greatly missed. - get a good routine and stress less: So, January 11th is the day that my routine will begin again. Hopefully this awful sleeping routine, caused by NYE, late night revision and a holiday, will soon fix itself and I do want to start getting up earlier than usual. I'll also be back to my usual gym classes and restarting my volunteering role as a peer mentor. As I've mentioned, juggling so many commitments has seriously stressed me out over the past few months so I need to find a routine which enables me to manage them effectively, this will obviously get easier as my number of commitments drops over the year but I need to learn to say no to certain things for now (such as extra work hours). Related to this, I need to sort out my time management, I've tried this before but it's time to try again, I have no concept of time (always late) and it takes me SO long to do anything, I can't explain why but it's not good. I always feel like I have so many things to do and so little time to do them. I need to start making more realistic to do lists with specific goals rather than the long, general to do lists I'm used to, as that makes it impossible to complete them, causing way more stress, send any tips my way! - make our house a home: I don't think I realised that our house wasn't going to feel as homely or as perfect at first, it takes time and a lot of money to turn plans into reality and our white walls are still looking very bare, making the rooms look a little soulless. Of course we're so grateful to be living here and for the say we had in the design of the place during the renovation. Also, we're so grateful for the things we were given second hand but they will eventually be replaced by more coordinating pieces and our own tastes will be implemented. We have already made a start this year by setting up our desk spaces in the spare bedroom. I went very Blogger/Pinterest inspired with the copper lamp and Ikea desk and I'm totally loving it, a few framed prints and some nice desk accessories and it will be complete. I have so many plans for our home and each month we'll add something new, next on the list is a nice, big full length mirror. - sort out some minor health issues: I'm not talking about anything big or worrying, but smaller things that have affected my life for years now, things I haven't wanted to mention to a doctor with the fear of being laughed at and thought of as pathetic, things such as my constant exhaustion and possible intolerance to something (I haven't quite identified what that something is yet). These things affect my social life, my relationship, my academic work and my confidence. I never have energy so I worry that I'm thought of as boring and when I shop, my focus is on buying things which won't reveal my bloated stomach at all. Those are my 'bigger' goals which I would love to achieve this year. Some smaller ones, most carried over from last year are; think about scary career stuff, learn to cook/bake, scrapbook with all of the Project Life supplies I bought last year, get back into our beach walks, don't leave assignments until the very last minute and improve my photography so that I can finally be happy with my day out/holiday photos. I could totally go on and on here so I'll stop myself before the list becomes so unrealistically long. Truth is, other than our 21st birthdays, I haven't got a clue what 2016 will bring but that's kind of exciting. I wish you all the best for 2016. Hello. I know, I know, I pretty much dropped off the face of the internet at the end of August and haven't returned since. This year was unfortunately the year that I didn't blog much at all, mainly due to being so busy and having to put blogging at the bottom of the priority list. I'm not coming to you in 2016 with a comeback as I have decided, which is probably evident from last years posts, that I want to keep this space as an online diary for myself. I wasn't actually planning on posting today, or any day for that matter, but after reading the abundance of reflection and goals posts I couldn't help but look back at my own and it just didn't feel right beginning this year without a reflection of the last and goals for the present. I hope you all had a great new year, we had a nice night of drinks and a takeaway at a friends. 2014 was a year of achievements which you can read about here and it was going to be pretty hard to beat in 2015 so I planned to focus on some smaller goals. Looking back at those goals I sadly didn't do too well at fulfilling them. I did get my teeth whitened which you can read about here and I signed up to a new gym and tried out a variety of classes which I was so nervous to do on my own but i'm pleased to say that I now try and do at least one class per day, five days per week when I have the time, my favourites are pump and spinning. I also bought a new car which can be seen in this post. Another goal, no phones in the mornings when with Lee was one which was forgotten about. We rarely get a morning together and most of our mornings are spent hitting snooze for as long as possible and rushing around. However, I do think we've naturally prioritised saying morning and having a cuddle whilst dosing off again before picking up our phones, we're certainly not completely unattached from our phones when together though. Sadly, The goals I didn't quite succeed at were learn to cook, make a scrapbook, finish all uni assignments before 11pm the day before they're due and plan things. Something I briefly mentioned in last years goals post was that moving out was the next 'big thing' but I certainly thought it would be another year or two until we could afford to actually do it. However, we were extremely lucky and with some help from family, who we're renting from, we moved into our first home in September. It's something I love being part of as the whole place was a huge renovation project, it was a lot of hard work but it's nice to know that we had our say in the design and that we helped pull the place together. Moving out has certainly been a challenge and I was very homesick in the beginning but I'm okay now, it takes time. Our home took up the latter half of the year and trying to juggle that, work, uni, volunteering and placement hasn't been easy so I have spent the last 3-4 months, which seem like a complete blur, in serious stress. Of course I do really love having our own space, sometimes I think it would have been better to wait until I had finished uni but we had to take the amazing opportunity when it was there. More highlights of 2015 include our anniversary trip to the Lake District in January, a girls holiday to Barcelona in June and a trip to Leeds with the girls in October. I seen The Script live and was shortlisted for volunteer of the year at the Northumberland's Finest Awards in February which was such a good feeling. 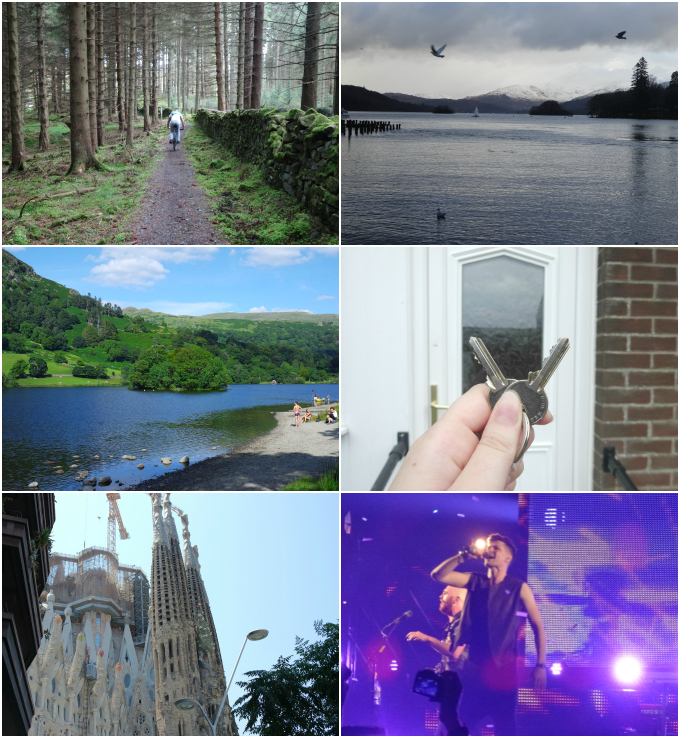 The year was full of cinema trips, meals out, nights out, nights in with friends as well as my 20th birthday, a few relaxing bike rides in Kielder and a day out in the Lake District during Summer. 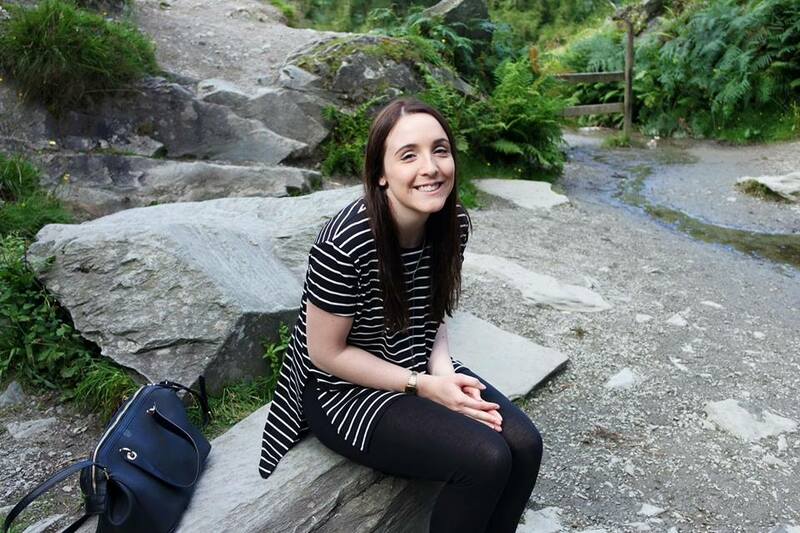 Finally, I stepped further out of my comfort zone on a volunteering residential which involved ghyll scrambling and jumping into waterfalls, it was freezing and terrifying but the sense of achievement was so worth it. I should probably stop rambling now, I hope your 2016 is a great one! © What Rachael Wrote. All rights reserved.